Haskell Drive Outfall Retrofit — BayLand Consultants & Designers, Inc.
BayLand was selected for the design of the Haskell Drive Outfall Retrofit Project by the Anne Arundel County Department of Public Works (DPW). The project is located west of Mago Vista Road near Belvedere Elementary School and southwest of Haskell Drive in Arnold, Maryland. The project starts immediately downstream of the Belvedere School stormwater outfall and extends downstream for approximately 500 linear feet (LF). The stream channel extends past the project limits and eventually outfalls into the tidal waters of Mill Creek, a tributary of the Magothy River. 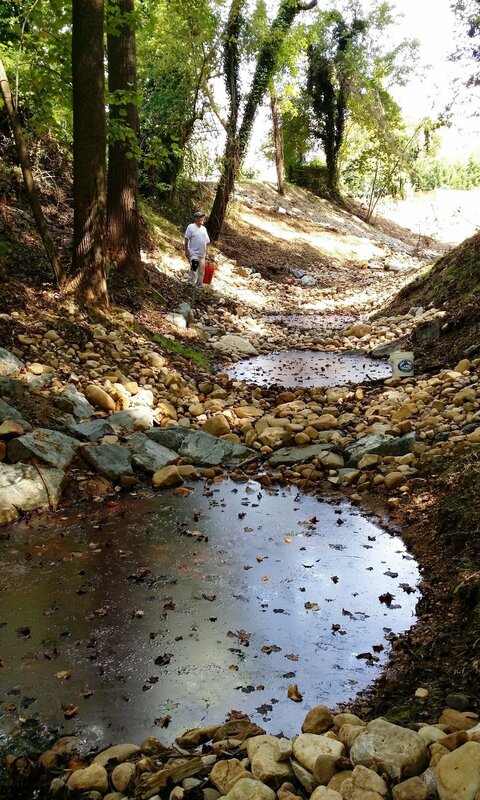 The project included preparation of drainage and stream restoration construction plans for approximately 500 LF of severely eroded stream channel through a Regenerative Step Pool Storm Conveyance (SPSC) System. The SPSC design reconnected the stream to its floodplain, enhanced the ecological function of the stream, and improved the nutrient uptake and the overall aquatic environment of the channel. The project also protected or relocated existing structures undermined by ongoing erosion. The project was designed to provide stable outfall channel, minimize impact to adjacent private properties and forest, and maximize water quality and habitat improvement. Permitting for this project was expedited to minimize further damage to existing structures. Permits were obtained from U.S. Army Corps of Engineers, Maryland Department of the Environment and Anne Arundel Soil Conservation District. 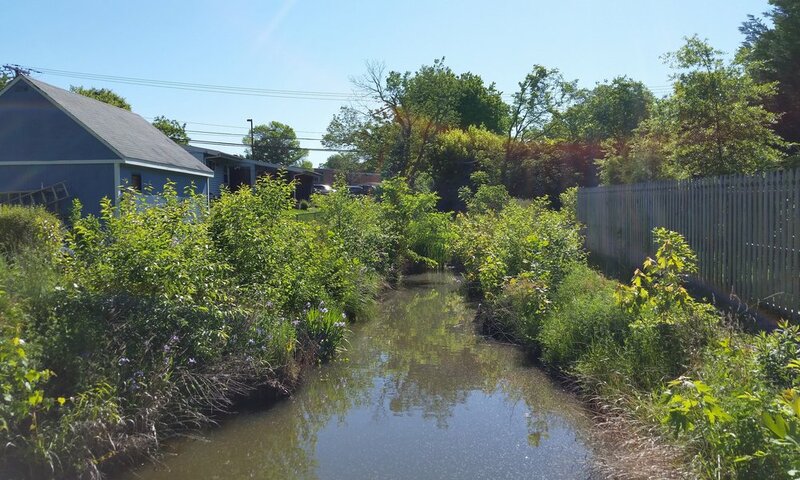 The SPSC design provided 100% water quality treatment for the previously untreated impervious area within the drainage area. The project provides impervious area treatment credit towards the County’s National Pollutant Discharge Elimination System (NPDES) municipal separate storm sewer system (MS4) permit and provides sediment and nutrient removal credit towards meeting the Magothy River and Chesapeake Bay approved Total Maximum Daily Load (TMDL). The project was designed and permitted in less than 9 months. Construction was completed in less than 3 months and without any change orders. The project was planted using community volunteers from Arlington Echo Outdoor Education Center.